Ice cream transcends age and culture and connects people with the memories it has helped make. By taking a survey of friends and family, data is collected to show which flavors were most loved as a child and which flavor is their favorite to indulge in today. 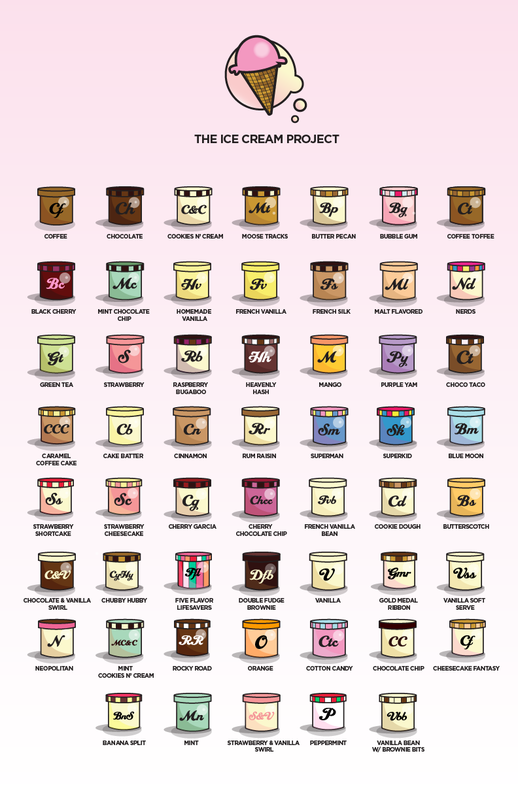 Each person has their own unique memory and when combined, it creates a whole dialogue about the impact that ice cream has had on their lives. The piece is also organized by flavors, with the most simple beginning in the middle and branching out to more complex flavors. 54 flavors were included.